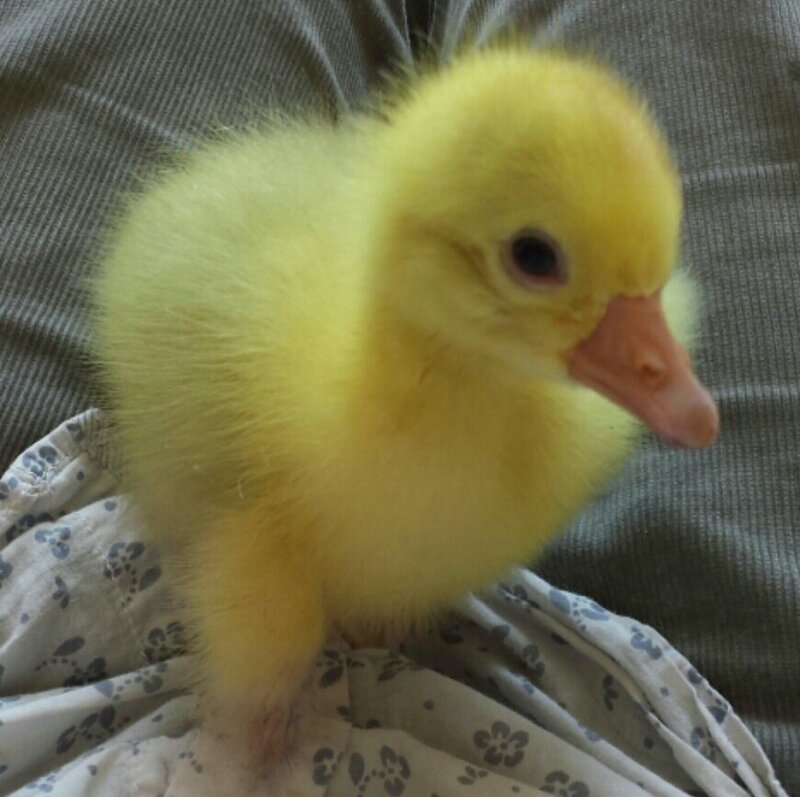 Last year I tried to hatch two lots of giant goose eggs, the first of which was no good (0/4) but the second of which went really well (5/6 – with this particular breed you expect only half to hatch). 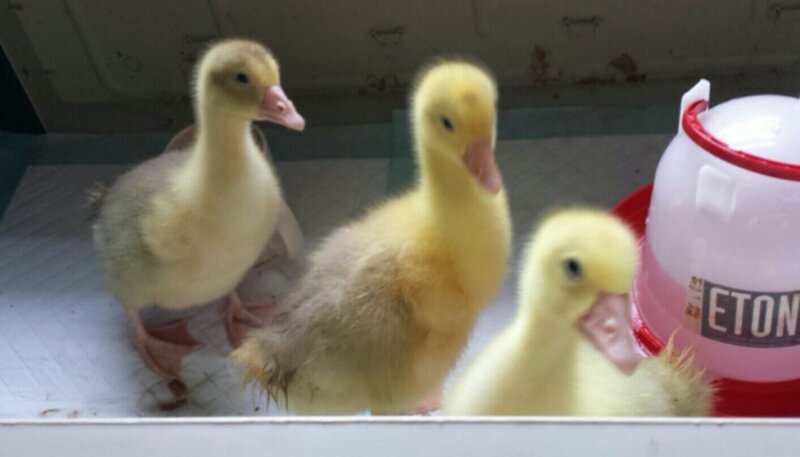 They were Giant Exhibition Dewlap Toulose geese – a show version of the utility French breed. …the hard bit was finding a home for them. There were only 3 people genuinely interested: The first on investigation lived in a small house with a postage stamp sized back garden (being giant geese they need a lot of room). The second was much more local, already had geese but kept me hanging on and on and in the end made an excuse (true or not) to not have them. They were then over 2 weeks old and over a foot tall (not the plan!!!) and just when I was wondering what on earth I’d do I had an enquiry from a couple who were very keen. Who live on a boat!!! The goslings now live beside a narrow boat with a lovely couple who are besotted with them. They (the people) have a large area of land, a horse and dogs and have previously had geese. 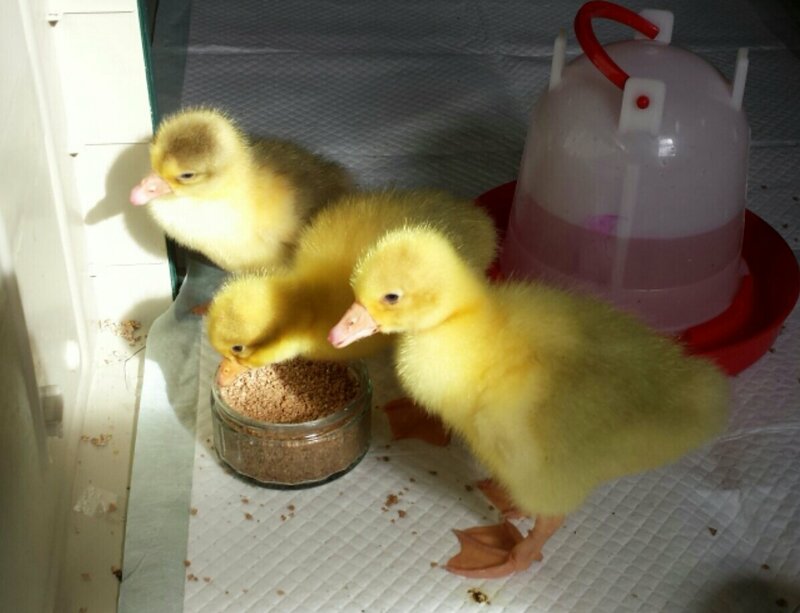 The goslings are definitely in the right place now, with people who really care for them – but it took some doing! Candling at one week, of 6 eggs 5 looked good.